← My Perfect Imperfections Release Event and Trailer! 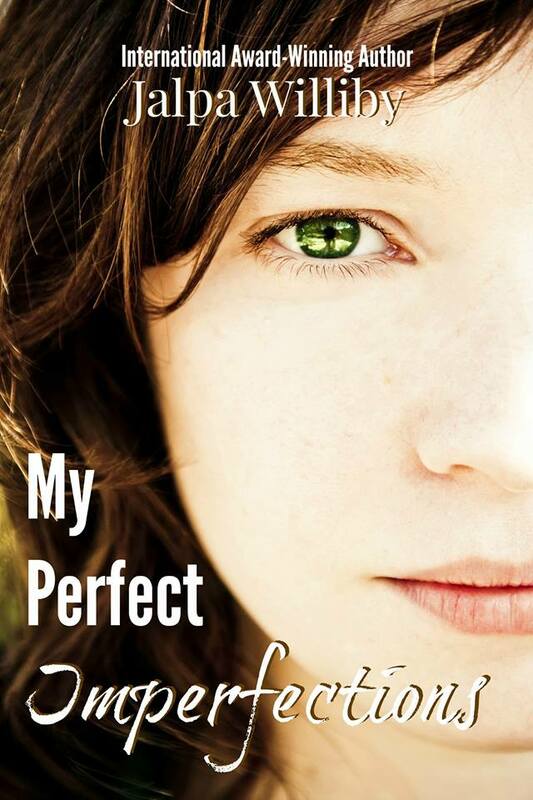 Reviews are starting to come in from the ARCs of My Perfect Imperfections! I am so excited to see these reviews! Humbled beyond words. I am not quite sure where to start! This is not my normal genre, but having read Ms. Williby’s previous works (and loving them), I had to read this one as well. I loved everything about the book! It is hands-down one of the most touching stories I’ve ever read, and I’m so glad I did! Lily is absolutely the strongest female lead I’ve ever read. What she goes through and overcomes is extraordinary. The supporting characters are also very strong, but Lily just blew me away. The way she is portrayed sheds new light on Cerebral Palsy and gave this reader great insight into the life of someone with CP. I still think about the characters and story even a few weeks after reading it. You cannot go wrong with this book, no matter what genre you read. Jalpa Williby is also an author to add to your must-read list. Every book she writes, she grows stronger as an author. I just know her future works will be even more amazing! I was provided an ARC copy of the book by the author in exchange for my fair and honest review. –Angie Martin (International Award-winning and best selling author) 5 star review! My perfect Imperfections by Jalpa Wilby is by far one of the best book I’ve read not only this year, but in the last few years. I wish there was more than five stars to give it. It’s a breathtaking story of strength, love, and living life to the fullest each day. Lily Cooper is a strong, smart, and beautiful woman. She also was born with Cerebal Palsy. This in no way defines who she is. It’s Lily’s twin sister and best friend Layna, who helps Lily see that she has so much to offer. Their relationship is one of my favorite parts of the story. The connection they have gets them through everything. When Lily feels down because she thinks no boy will ever like her or ask her to a dance, Layna is there to tell her there will be someone. I don’t want to give anymore away about this story because the way it unfolds is masterfully done. Over the course of this story you’ll be hit with so many emotions. Even now just thinking about this book, I can’t help but think about certain parts that stick out because of the range of emotions I felt. Above all that there is this incredible heroine Lily. Even though you know she has CP, you forget about it. She’s vibrant, witty, sarcastic at times, full of love, smart, beautiful, and makes sure to take each day as a gift. The people she meets and the hope and chance at love, ties everything together so perfectly in this story. Jalpa Willby does a superb job with this story. The detail, characters, and emotions she conveys so effortlessly in My Perfect Imperfections, is what makes this one of the best books of the year. She shines a light on how society looks at people with disabilities and shows that there is so much more. What she does best, is tell a story of love and strength that you will fall in love with and never forget. *Note: I was given an ARC of this book by the author for an honest review. -Elena Cruz (blogger/reviewer) 5 star review! From the moment I first heard that the author was working on this book I was intrigued. As publication got closer and teasers and more information started coming out, I knew I had to read it. I found the idea of a girl with cerebral palsy as the heroine so refreshing. I was absolutely thrilled to receive an advanced copy in exchange for an honest review. I have been trying to decide what to include in the review for days since I finished it. The 5 stars was a no brainer – it is a fantastic, deeply moving book that you will not soon forget no matter how much you read. I can honestly say I’ve never read anything quite like it, which is both refreshing and a sad statement on the overlooked in our society. A beautiful love story? Absolutely! Inspirational? Without a doubt. Heart-wrenching tear jerker? Definitely has that covered. I am not usually one to cry when I read, but this one tore me up. It should come with a jumbo sized box of tissue, even for the most cynical and jaded amongst us. The writing itself is fantastic, from beautifully prosaic to brutally real, it is all carried in a lovely cadence. Between Jalpa’s unique voice and a wonderful job editing there is nothing to complain about stylistically. A wonderful, realistic romance with all the highs and lows that real life brings, but it is so much more than that as well. The heroine has disabilities that most of us cannot begin to understand, but the struggles of her heart are the same any of us have gone through. The struggles with her body, while heart breaking, are a true testament to the resiliency of the human spirit and so inspirational. No matter what you are struggling with, it will bring perspective. The knowledge of the technology available to help those with severe disabilities is woven in such a way that you do not realize how much you are learning at the time, but in retrospect you have to respect the author’s research/knowledge and skill in relaying the information to the reader in such a subtle way. I do not feel I am really doing the story any justice with this review, but it comes with my highest recommendation to almost any audience. -LaDonna (Blogger/reviewer) 5 star review! Posted on August 9, 2015, in Uncategorized and tagged Cerebral Palsy, disability, inspirational, Jalpa Williby, My Perfect Imperfections, new release, reviews, romance. Bookmark the permalink. Leave a comment.